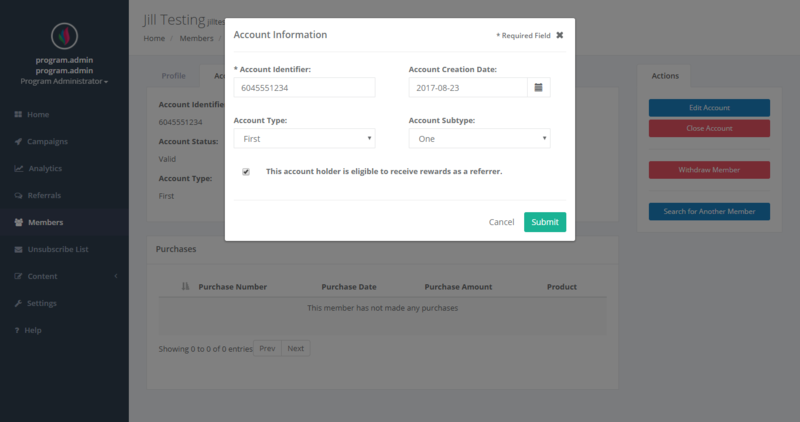 How can I provide or update a member / referrer's account information? Provide or update the member's account information, such as their account identifier, account creation date, referrer reward eligibility, account type, or account sub-type. Click Submit to save the changes you made or click Cancel to cancel the changes you made. If you manually validate member account information, it's implied that if you're providing the member's account information, the member's account is valid and the account status will be set to Valid after providing the account information. 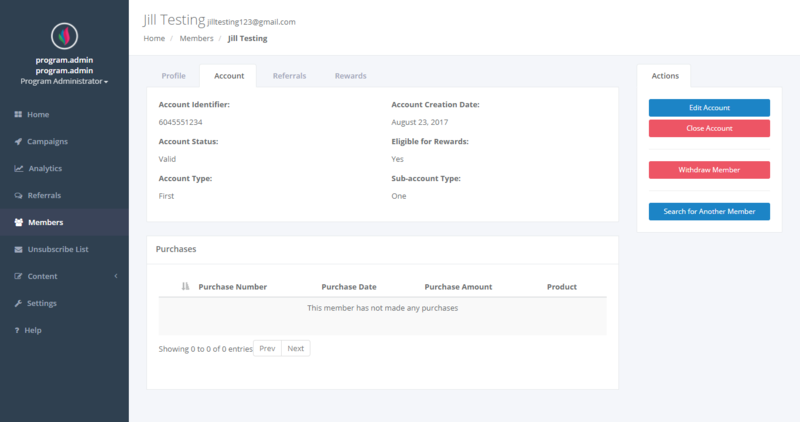 If your referral program automatically validates member account information via file exchange or API, you can only provide or update the Account Identifier. 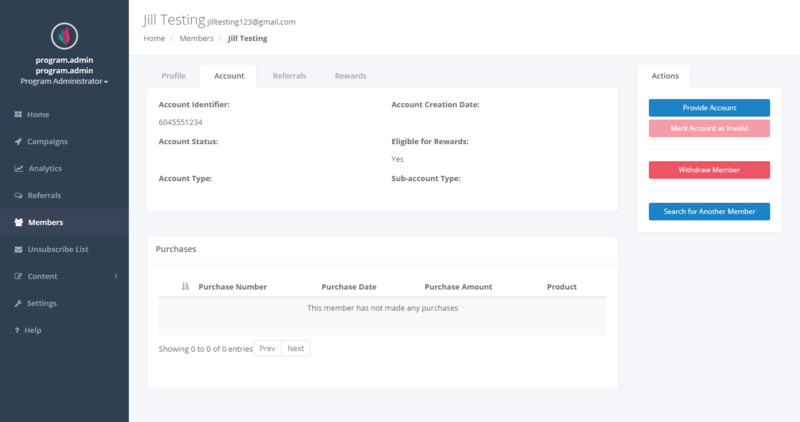 The other fields will be blanked out and can only be updated with the data we receive back via the file exchange or API.